Lots to talk about in this update. Please factor these forecasts into your Thanksgiving travel plans. Let's begin with the threat of freezing rain. 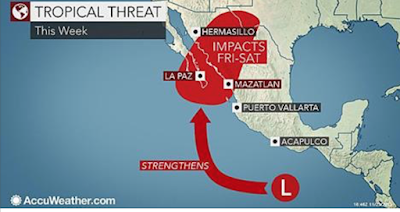 Essentially, on Thanksgiving and if you are in the blue or red areas, travel will be a problem. 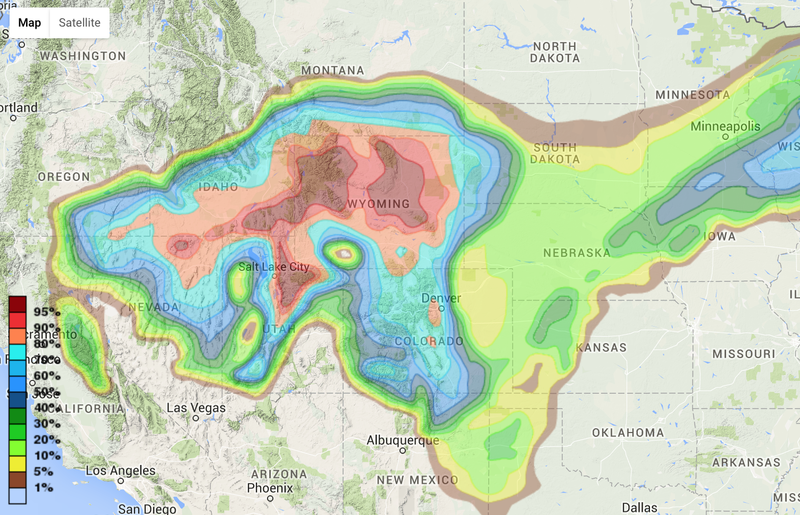 Here are the probabilities of 2" or more of snow for the 48 hours ending at 6am Thanksgiving Day. The map below shows winter weather information. 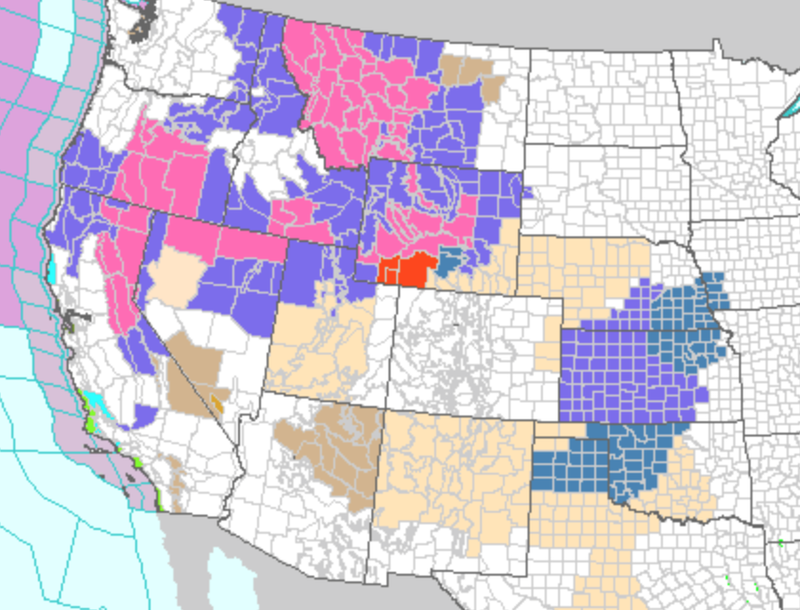 The pink = winter storm warning; blue = winter weather advisory; and dark green = winter storm watch. The small orange area is a blizzard warning which includes I-80 in southwest Wyoming. The other threat we need to discuss is the likelihood of major flooding in the southern Plains. 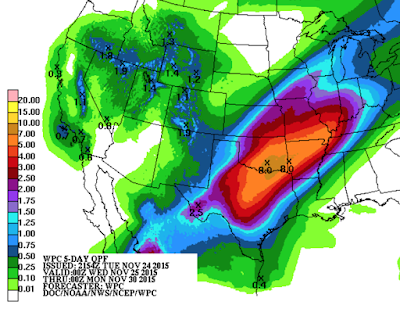 Here is the NWS forecast of precipitation amounts for the next five days. Those are forecasts of eight inches in southern Oklahoma and far southwest Arkansas. Some of the models have in excess of 10" in those areas. 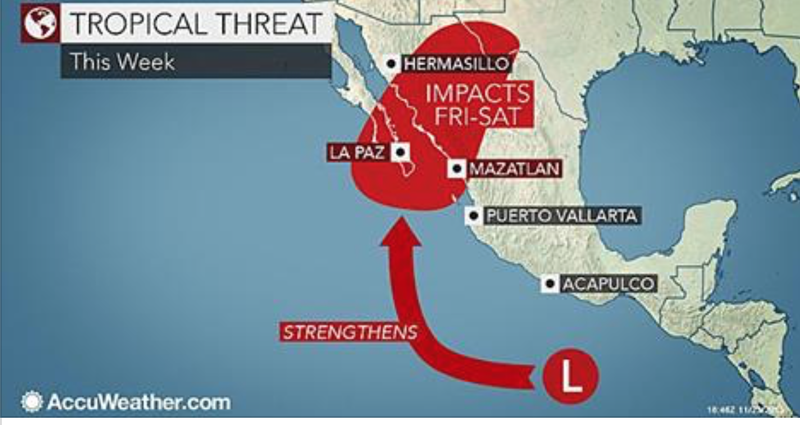 The rainfalls will be augmented by extra moisture from Tropical Storm Sandra. Of course, I'll be providing updates.